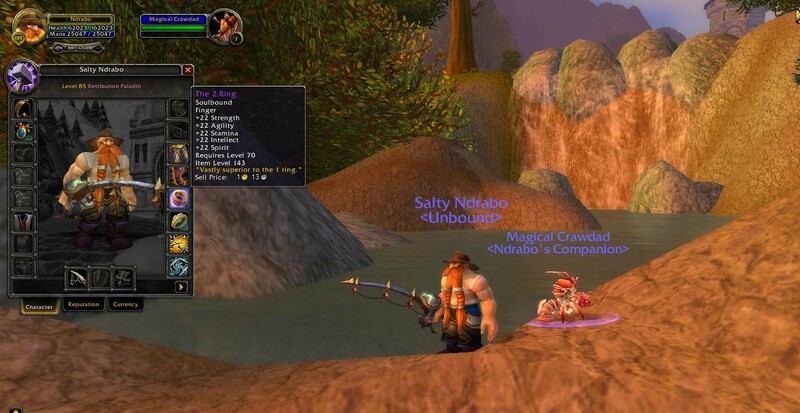 Episode #48 Timecapsule: Introduced in a recent patch, Stendel’s Bane is a very rare catfish found in the zone of Westfall. Swallowed by this giant fish, two possible rewards found inside Stendel’s Bane are the Aquadynamic Fish Lens and Reinforced Fishing Line. 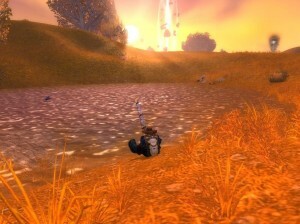 This catfish is the only remaining place that these two rewards can be obtained in game today. However, the truly unique find here at Stendel Pond is the very low percentage chance that inside the belly of the catfish, fishermen can loot a ring called Stendel’s Wedding Band. It appears that years ago, this bloated catfish swallowed Stendel’s wedding ring and became the bane of poor Stendel ever since.